Christopher Hall is an internationally acclaimed interior and furniture designer. Having worked on residences from Fulham to Saudi Arabia, he’s renowned for creating interiors and bespoke furniture collections that integrate modern and contemporary accents with homages to the past. Working with designers Two Times Elliott, we created a small run of presentation packaging pieces for Christopher Hall. Included in that was a four-board case with a magnetic closure. 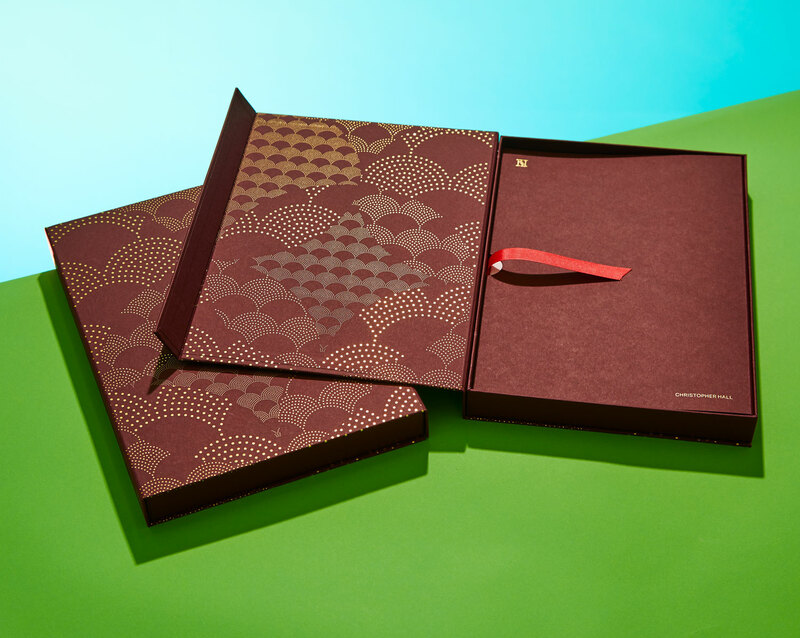 These boxes were covered and lined in Colorplan Claret, with a distinctive gold foil blocked pattern imprinted throughout. 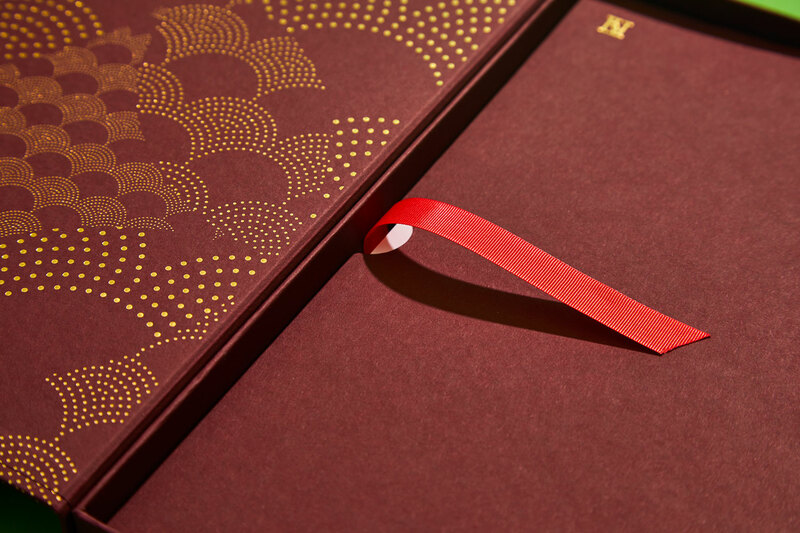 A 700gsm matching Colorplan flyleaf was fitted, with a ribbon pull to enhance the opening / reveal experience. 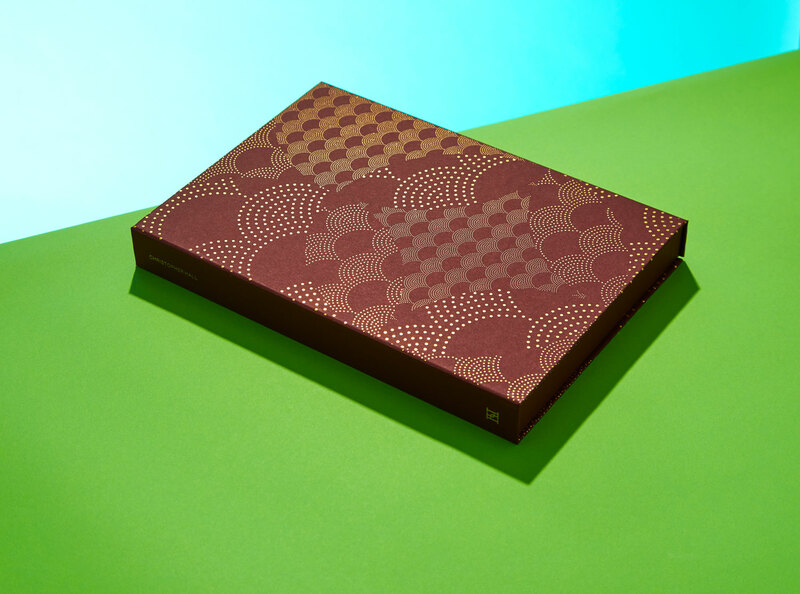 Matching A4 folders were also manufactured, using matching material and foil blocking as the four-board cases. The binders were made to hold printed information sheets, and included a pocket on the inside rear cover to house a business card.